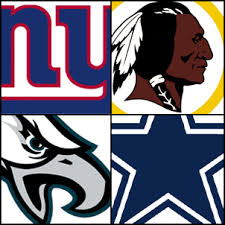 The Washington Redskins emerged from the ultra competitive NFC East with a 10-6 record. RG3 lived up to his billing and was cant miss TV till he blew out his knee. The Redskins did little in the offseason but the health of RG3 will determine their 2013 The Dallas Cowboys had a chance to win the East and go to the playoffs but lost the last game of the year and finished 8-8 again. The Cowboys rewarded QB Tony Romo's failures with a massive contract extension. The New York Giants finished 9-7 again but failed to defend their Super Bowl title. The Giants purged some veterans this offseason and rewarded WR Victor Cruz. 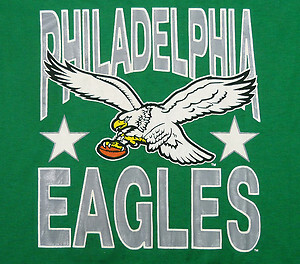 The Philadelphia Eagles were dreadful! They finished 4-12 and looked liked they quit on Andy Reid which got him relived of his duties. Oregon Coach Chip Kelly takes over with his high flying offense. The Redskins paid a high price to get RG3 and he was worth every draft pick they gave up. RG3 helped turn around a morbid Redskins franchise. What impressed me the most was his 3200 yards 20 TD passes and only 5 INTs. It's impressive because the Redskins wide receivers are average at best. RG3 wont duplicate his ground game this year. Last years 120 carries 815 yards and 7 TDs was great but we saw the end result with the knee injury. Washington does have a capable backup in Kirk Cousins. I think they will flip him next offseason for a high draft pick to a team desperate at QB. As great as RG3 was the biggest surprise was rookie running back Alfred Morris. He ran for 1613 yards and 13 TDs with a very impressive 4.8 yards a carry. Mike Shanahan uncovers another running back gem! The Redskins are counting on WR Pierre Garcon to get healthy and rebound after a disappointing first year with them. Fred Davis seems to be always injured and the Redskins have little behind him at the Tight End Spot. Washington's O-Line was masterful in the zone blocking scheme last year. The O-Line will continue is continuity as all 5 starters return. The Redskins were 28th in total defense. They were 5th against the run and a lousy 30th against the pass. On the defensive line Adam Carriker looks to miss the season as he needed another knee surgery this summer. The rest of the line is no descript but gets the job done on the run. The Linebacker unit is anxiously awaiting the return of OLB Brian Orakpo from another torn pectoral muscle that sidelined him almost all of last year. OLB Ryan Kerrigan lead the team in sacks with 8.5 but without Orakpo the team only had 32, this was 23rd in the league. Future hall of famer London Fletcher is still productive at age 38 and he had 5 INTs. The Redskins secondary was tied for 3rd in the NFL with 21 INTs despite giving up a whopping average of 281 yards in passing a game. CB DeAngelo Hall had 4 picks last year to lead their secondary. Their 2nd corner Josh Wilson is coming off injury. Washington invested early draft picks in CB David Amerson and Safety Phillip Thomas to help out their secondary. I hated their draft outside of the David Amerson pick. They were missing their first rounder for the RG3 trade though. Vegas is leery of RG3's knee and has them at 8 wins for the over/under and 30-1 odds at reaching the Super Bowl. Outside of the obvious RG3 and Alfred Morris picks in fantasy football, I would hope Pierre Garcon slips to the mid rounds and take a shot on him. 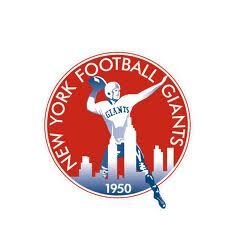 The Giants seem to follow the every other year theory. In 2011 they win the Super Bowl, last year missed the playoffs. So bank on big things this year for the G-Men. They let vets RB Ahmad Bradshaw and DE Osi Umenyiora go. Eli Manning had an off year, so bank on a rebound this year. They traded up in the 4th round to grab QB Ryan Nassib. If he is their heir apparent to Eli Manning, the Giants will be in trouble. RB David Wilson gets the rock now full time to replace Bradshaw. This season to me depends on a healthy WR Hakeem Nicks. If he is back at full strength combined with Victor Cruz this is a playoff team. I think WR Rueben Randle, yes an LSU Receiver, will get a lot of action this year with or without Nicks. I love the addition of TE Brandon Myers from the Raiders. It's not saying much but he lead the Raiders in receptions and yards. I think he will be a FFL steal at the tight end position with a real QB throwing to him. The offensive line stays the same except they added 1st round pick Justin Pugh to play right tackle and are battling some injuries. The Giants defense was just dreadful last year. It ranked 31st in total defense. They could not stop the run or the pass. All they could do was get interceptions, 21 which was tied for 3rd in NFL. They were only able to muster 33 sacks last season. They did add Johnathan Hankins at DT and Damontre Moore at D End in their draft class with early picks. The Giants 4-3 scheme was not able to generate much of a pass rush from the d-line last year. The linebacker corps released some veteran's, Michael Boley and let Chase Blackburn walk, Cowboy Fans will love that they signed Dan Conner as a starting middle linebacker. Their secondary was lead by S Stevie Brown, he was a safety with 8 picks last season. Unfortunately Stevie Brown is lost for the year with an ACL tear in a meaningless preseason game. The D coordinator loves to use 3 safeties on passing downs. CB Corey Webster had 4 picks last year but was slaughtered in the media for his sub par play must bounce back this year. Prince "lil red Corvette" Amukamara only had 1 pick last year. The former 1st round pick has a lot of pressure on him this season. I though they had a pretty good draft except for wasting a pick on Ryan Nassib. I support taking Brandon Myers in the mid rounds and shocking your friends in FFL. Vegas feels the Giants will win the NFC East with 9 wins over/under but 18-1 odds to reach the Super Bowl. The Cowboys found themselves again with a chance to win the NFC East and get to the playoffs against the Redskins in the last game of the season. Tony Romo failed AGAIN against the Redskins, so what do the Cowboys do, they reward him with a 6 year $108 million contract extension like he won the Super Bowl. The seat might not be hot for Coach Jason Garrett but its pretty warm, back to back 8-8 seasons and zero playoff appearance's will do that here in Texas. GM Jerry took away Jason Garratt's play calling duties in order to help him become a well rounded head coach. Tony Romo threw for over 4900 yards last year with 28 TD passes and an alarming 19 INTs. Kyle Orton is a solid backup QB. The Cowboys have no one waiting in the wings because they refuse to invest a draft pick into a developmental QB. The Cowboys running game was non existent last season. It ranked 31st in the NFL. RB DeMarco Murray missed 6 games due to injury. The Cowboy offensive line was dreadful and if the running game was not clicking early, Jason Garratt seemed to abandon it all together. WR Dez Bryant seems poised for a monster year. He had 92 catches 1382 yards and 12 TDs last year. He seemed to figure out how dominate he can be during the 2nd half of the season. He runs complete routes now and if he continues this for a full season, he will establish himself as a top 3 receiver in the NFL. The Cowboys drafted WR Terrance Williams from Baylor to be the 3rd receiver and be ready to step in for the oft injured Miles Austin. The Cowboys Offensive line might be the worst in the NFL. The entire right side of the line is pathetic. Doug Free took a massive pay cut to stay and has even been moved to right guard at times this preseason. Left Guard Ronald Leary has bad knees and just under went knee surgery a few weeks ago. His return for week 1 is in question. The positives are Tyron Smith is huge but continues to improve at Left Tackle. The team used its 1st rounder on a center in Travis Frederick. The Cowboys have tried to talk veterans Brian Waters and Brandon Moore to come in and start but neither accepted. It's never a good way to start the season when 3-5 spots on the O-Line are unsettled. The Cowboys are switching from a 3-4 to a Tampa 2 defense this year. Gone is the overrated Rob Ryan, who somehow manages to get more TV time then the head coach every where he goes. In is the grandpa Monte Kiffin. Their defensive line is a major question mark in switching to a 4-3. Jay Ratliff injured his hamstring in training camp and ended up on the PUP list. Anthony Spencer might miss week 1 also, he had 11 sacks last year. The team did not address the d-line in the draft passing on DT Shariff Floyd for a trade down. Demarcus Ware will move to defensive end which is good news since he wont have to drop into coverage. He had 11.5 sacks last year but he was hurt. I expect a bounce back this year since he can just focus on getting after the QB. In theory the strength of this defense will be with their outstanding linebackers Sean Lee and Bruce Carter. The two players both have injury concerns but when healthy both are stars. The Cowboys just rewarded Sean Lee with a salary cap friendly 6 year $42 million deal last week. The secondary was not a ball hawking unit last year. The unit produced a grand total of 7 INTs which was 31st in the league. The Tampa 2 should produce many more turnovers this season. The safeties are a question mark as Veteran Will Allen is the free safety and Barry Church is the strong safety. Church is coming off a torn Achilles from week 3 last season. Gm Jerry rewarded him with a 4 year extension a few weeks later. The Cowboys did use some early draft picks for the secondary in JJ Wilcox, safety Georgia Southern, and B.W Webb, CB William & Mary, both are extremely raw and will see little playing time this year. 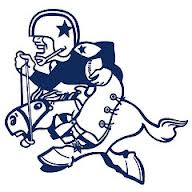 As for the Cowboys draft, I question the trade down but not the player in Fredrick. The head scratcher was Tight End Gavin Escobar in the 2nd round. He was a 4-5 round prospect as he can catch well but cant block his way out of a wet paper sack. The rest of the players are projects. Vegas thinks the Cowboys might have a winning season with the over under at 8.5 but 30-1 shot at getting to the Super Bowl. The 14 year run of Andy Reid came to an end after a awful 4-12 season. The former Oregon Coach and offensive innovator Chip Kelly is taking over. Chip Kelly wants to run 80-100 plays a game with would be revolutionary in the NFL. This season will be fun to watch to see if this offense takes off or will it be a gimmick that the league will figure out after a few weeks. Michael Vick won the starting job for now. It will be a matter of time before he is injured again due to the fact he will be asked to run a lot more. The Eagles have a dangerous duo of running backs in LeSean McCoy the lighting fast Bryce Brown. I expect WR DeSean Jackson to have a bounce back year with the Chip Kelly up-tempo offense. The Eagles suffered a huge loss when WR Jermey Maclin blew out his knee in camp and is done for the year. The Eagles will use a lot of 2 tight end sets with Brent Celick and 2nd round draft pick Zach Ertz out of Stanford. The Eagles O-line is very suspect. A lot depends on the health of left tackle Jason Peters. He missed last season with Achillies issues. They spent the 4th overall pick on Lane Johnson who will start at Right Tackle. The center and guard positions are weak. On defense, the Eagles will switch to a 3-4 now. The D-Line will depend on Fletcher Cox who had 5.5 sacks last year which tied for the team lead. I like their inside linebackers with DeMeco Ryans and Michael Kendricks. The Eagles signed former Texan Conner Barwin to play on the outside. The biggest question is how will Trent Cole adjust to a 3-4 scheme. The Eagles secondary is awful on paper. They are starting 2 new cornerbacks and a safety which is usually not a recipe for success. The Eagles only had 8 INTs last year so maybe the new blood will make a major improvement though. I thought the Eagles had an outstanding draft except for the wasted pick of Matt Barkley. Although it will take several more drafts like this to get this team back into contention. Vegas does not expect a big year with a 6.5 over/under in wins and 60-1 odds to make it to the Super Bowl.